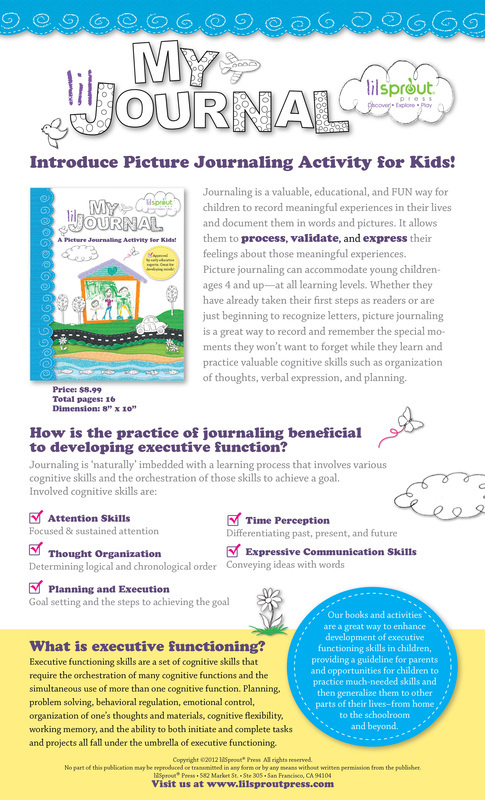 Introduce journaling activity for children! My lilJournal is designed to accommodate young children -- aged 4 and up -- at all learning levels. Whether they have taken their first steps as readers or are just beginning to recognize letters, picture journaling is a great way to remember the special moments they won't want to forget. Journaling is a valuable, educational and FUN way for children to record meaningful experiences in their lives and document them in words and pictures. their feelings about those meaningful experiences.